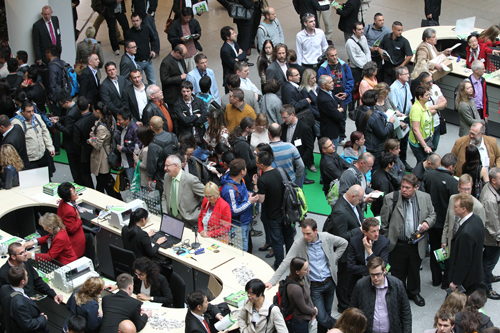 Six months before the start of Interzoo 2016, around 1,150 companies have already registered to take part in the leading international fair for the pet supplies industry in Nuremberg.From 26 to 29 May 2016, they will present their range of pet foods and accessories, grooming products, gardening and equestrian products, and services. 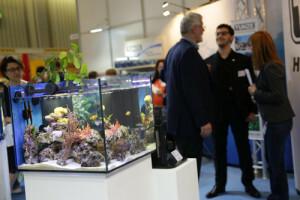 At www.interzoo.com, exhibitors and visitors can find out about this diverse range of products from small regional manufacturers to global players as well as our new exhibitor service options. “It is already apparent that Interzoo 2016 is once again set to be the No. 1 global event for the pet industry and a gathering place for all industry players. Of the companies that have registered so far, more than 80 percent come from countries other than Germany, while around 25 percent are first-time participants,” reports Hans-Jochen Büngener, Chair of the Interzoo Exhibition Committee. 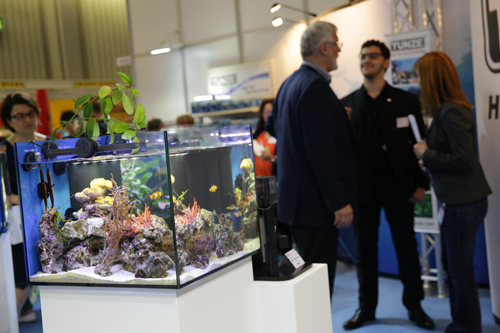 Show organiser Wirtschaftsgemeinschaft Zoologischer Fachbetriebe GmbH (WZF), a service company for the pet industry, is very satisfied with the global reach of the exhibitors: “Given the volume of inquiries received to date, we are confident that the number of companies exhibiting their goods and services at Interzoo 2016 on a display area of around 115,000 m2 will once again be up on the previous event,” explains WZF Managing Director Herbert Bollhöfer. From the European contingent, larger display areas have been booked above all by exhibitors from Italy, Poland, Spain, Turkey and the Czech Republic. In respect of overseas participants, it is predominantly exhibitors from Asia and America that account for the increase. Numerous countries like Brazil, China, the UK, Canada, Sri Lanka, Taiwan and the USA will once again make use of large pavilions, which for the first time will feature Ireland, the Czech Republic and Italy. As of now, the exhibitor database on the Interzoo website www.interzoo.com will offer new search and list functions. Users can search by exhibitor or product group, send direct contact and appointment inquiries and set up a wish list of exhibitors and products including notes, which can also be accessed at any time from a mobile device. Another new feature is the convenient hall search function: simply click on the stand number of selected exhibitor to open a hall floor plan that highlights in colour the location of the company’s stand. This makes it easier for visitors to plan their routes and appointments. All exhibitors with confirmation of their stand booking will be published automatically in the exhibitor database on the Interzoo website. They are able to edit their entries in the Exhibitor Shop on the Interzoo website and will also appear in the exhibition catalogue, the hall floor plans and the trade fair guide. As visitors stream through the busy, light-flooded Mitte entrance to the Interzoo, the products of the various vendors cannot fail to grab their attention thanks to the new “Product Showcase“. This is where, in addition to their stand, exhibitors can use a separate area to showcase selected products with product descriptions and indication of stand number. The “Product Showcase” is accessible to visitors free of charge on all four days of the event and will be promoted separately by the organiser in the run-up to the fair and on site at the time. Marketing packages: Interzoo exhibitors know that the success of their trade fair appearance depends in part on presenting their company in way that grabs attention and on advertising their brands and products before, during and after the show. So WZF supports exhibitors by offering marketing packages and various advertising tools like print advertising stickers, visitor brochures, online banners and entry vouchers for access to the show. Experience has shown that sending a personal invitation to business partners and dealers is a decisive factor in the success of the event for a company. In addition, we offer the tried-and-tested option of reserving online banners on almost all sub-pages of www.interzoo.com as well as company or brand logos in the online catalogue. In addition, advertisements can also be placed in the print catalogue and trade fair newspaper “Interzoo aktuell”. Embedding Interzoo video clips: Another effective advertising method for exhibitors is to incorporate Interzoo video clips into their own websites. 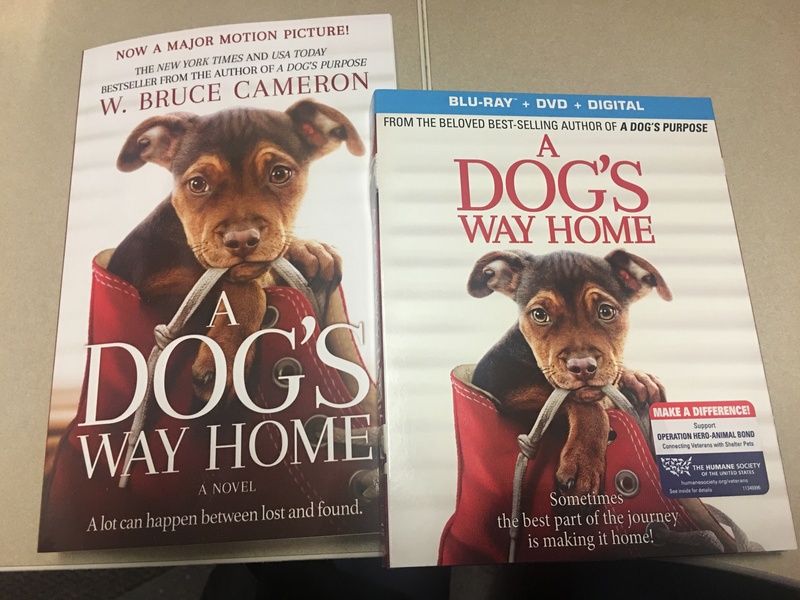 The films can be downloaded from the media centre on the Interzoo website. The code for embedding video clips is available from the Interzoo YouTube channel (www.youtube.com/user/interzoofair). As part of Interzoo 2016, the German Association of Veterinary Practitioners (bpt) will once again hold a seminar for German-speaking vets followed by a tour of Interzoo on Saturday 28 May 2016. Under the title “Diseases of aquarium fish – what every veterinarian needs to know”, vet Jan Wolter (member of the bpt Board and aquarium expert) will talk about the treatment of diseases in aquarium fish. The seminar will take place in Nuremberg Convention Centre (NCC) Ost, level 2, Stockholm room, and is recognised as mandatory professional development by the Academy for Veterinary CPD (ATF). Vets can register for the event at bpt Akademie GmbH (www.tieraerzteverband.de/fortbildung). As the world’s largest trade fair for pet requirements, Interzoo is intended for commercial enterprises selling pets and pet supplies, pet food and accessory manufacturers, vets, regulatory authorities and commercial consumers like vet clinics, alternative animal health practitioners, pet boarding facilities and pet grooming salons. 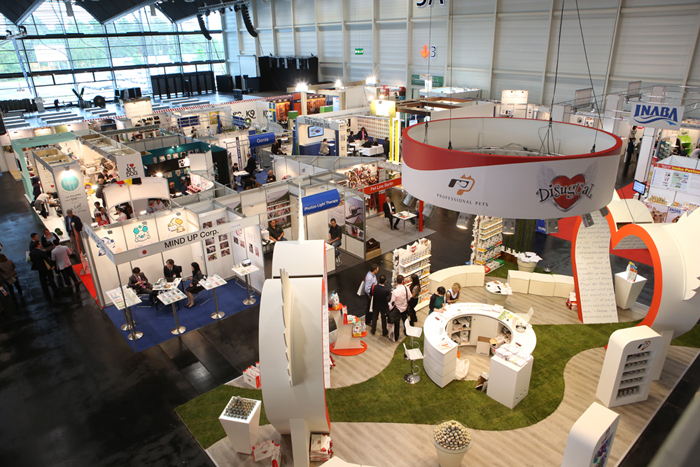 At the last Interzoo in 2014, more than 37,000 trade visitors from 128 countries learned about the latest pet food and care products and accessories from around 1,700 exhibitors. Interzoo is sponsored by pet industry service company WZF, which has commissioned NürnbergMesse GmbH to organise and operate the event.